One of my favorite places to stock up on Family Sized products is Walmart. The prices are already low so buying family sized products makes my cost per ounce even lower! This is a great way to save a little bit more especially if you don’t like couponing. Always compare the cost per ounce when deciding what to purchase, especially if you know that your family goes through these items weekly. I personally like to buy cookies and crackers in the family size packaging. My daughter loves OREO Cookies and Chips Ahoy! She gets one or two as an after school snack and I love eating OREO Cookies at night with a nice cold glass of milk as a little treat for myself. I deserve a few after a hard day of chasing around a four year old! 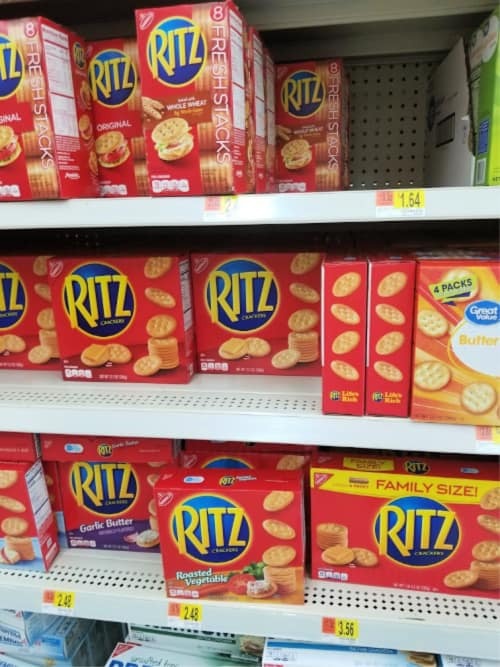 I will also grab the family size RITZ Crackers to keep our pantry stocked. They are a favorite snack in our house. I love spreading some peanut butter on them and my daughter will just eat them as is. I also like adding some RITZ Crackers as a breading for baked chicken. It is so crunchy and delicious! Everyone in the family loves the recipe. I’ll make it a few time a month, so we can go through a package of RITZ Crackers pretty quickly. 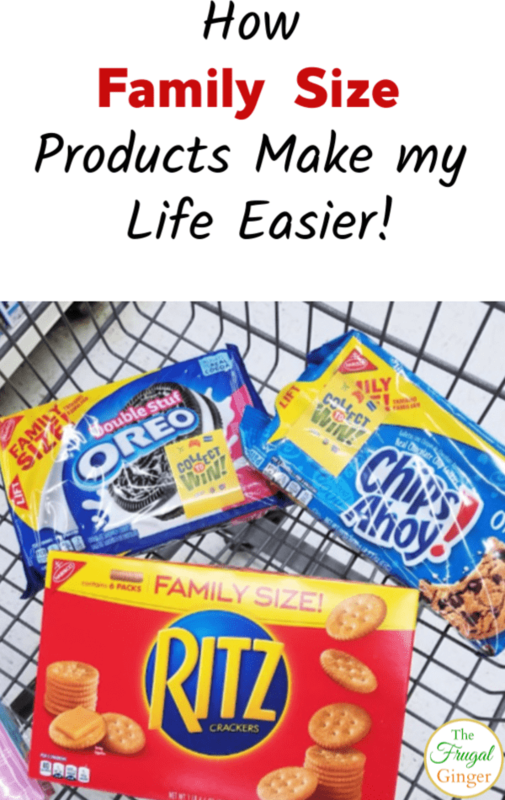 Buying the family size products saves me time because I am not having to constantly run out to the grocery store every week to stock up on snacks. Saving both time and money makes this mama very happy! 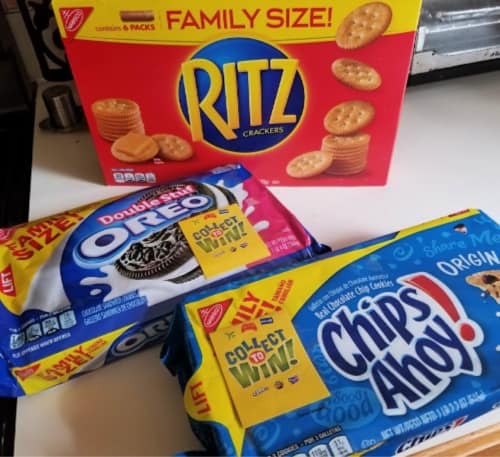 When I went on my last Walmart shopping trip, I noticed that my favorite Nabisco products like OREO Cookies, Chips Ahoy!, and RITZ Crackers in the family sized packaging all had Collect to Win Booklets attached to them. Look for the family sized packages at the bottom of the shelf in the cookie and cracker aisle, that is where I found them at my Walmart store. At Walmart locations, you can find these booklets that contain scratch off letter chances (you are trying to scratch and collect the letters to spell SNACK), in addition to there being an instant winner scratch off option in every IRC booklet. Everyone will win something within the booklet! I love these little games so I was excited to see if I had won anything on my scratch offs. I scratched mine off and got the letters S and N. I didn’t win a trip to Orlando, just a coupon for 25 cents off my next purchase of Nabisco products, but every little bit helps, right? 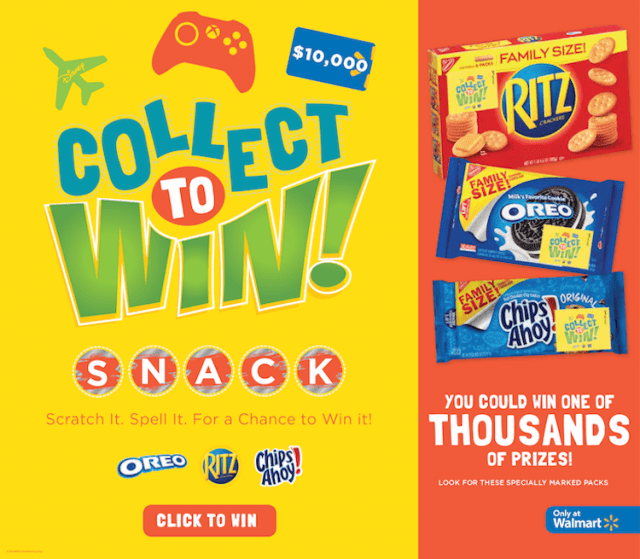 To get you excited about the Collect to Win game and to help you stock up on Nabisco family sized products, you can enter below for a chance to win one of Six (6) $50 Walmart Gift Cards or One (1) $200 Walmart Gift Card from October 1-30, 2018. 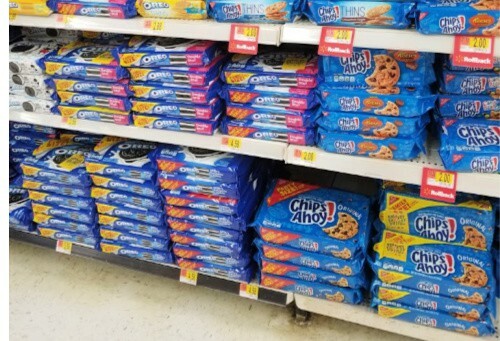 The next time you are shopping in Walmart, look for the family size products of RITZ Crackers, OREO Cookies, and Chips Ahoy! for your chance to win some amazing prizes!